In this article, I would like to discuss the Java best practices of important and most commonly used Java topics Strings, Generics, Collections, Exceptions, Enums, and Annotations. In this article, I have summarized the best practices and there is a separate article to demonstrate each Java best practice with an example. Use StringBuilder or StringBuffer for string concatenations instead of the + operator. Prefer switch( ) statement instead of multiple if-else-if. Prefer StringUtility classes from different popular libraries because these utility classes are tested and well-known libraries. 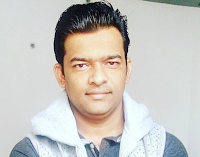 Avoid Duplicate Literals - Code containing duplicate String literals can usually be improved by declaring the String as a constant field. Avoid concatenating characters as strings in StringBuffer/StringBuilder.append methods. Consecutive calls to StringBuffer/StringBuilder.append should be chained, reusing the target object. This can improve the performance by producing a smaller bytecode, reducing overhead and improving inlining. Each of the above String best practices are demonstrated with examples at Guide to String Best Practices in Java. Each of the above Collections framework best practices are demonstrated with examples at Guide to String Best Practices in Java. 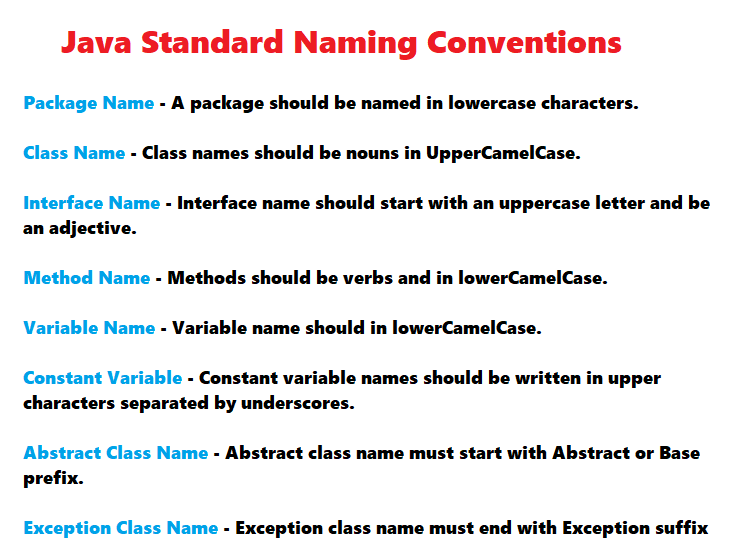 We should follow these Java naming conventions in the day to day project work.